Is China Really Ready for the Next Influenza Outbreak? 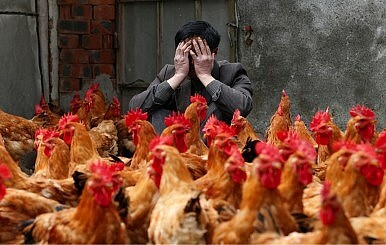 China deserves praise for its response to the H7N9 outbreak. But there are reasons to worry about next time. Reports on China’s recent response to the outbreak of novel influenza have reflected broad international satisfaction. While we share this satisfaction, we are nonetheless concerned that the international public health community overestimates China’s ability to effectively contain and control a future returning, or newly occurring influenza outbreak. The influenza virus – a leading cause of infectious disease in animals and humans – is a cause of ongoing apprehension among national and international public health officials because of its propensity for mutation. While the structure of the virus changes modestly on a continuous basis, on rare occasions major mutations in key genes lead to a virus with either a new host range or a heightened propensity to cause serious (and perhaps life-threatening) complications such as pneumonia or multiple organ system failure. Both have occurred with the arrival in China of a novel influenza virus called H7N9. (“H” and “N” refer to the molecules on the surface of virus particles that determine its ability to infect the cells of potential hosts, and the numerals designate the specific structure of those molecules. The combination of a particular H and N is called an influenza “subtype”). This still-evolving story is a mixture of some public health successes but also many unanswered question. Novel H7N9 virus was first identified sometime in late March of this year after three individuals died from severe respiratory disease: two in Shanghai and one in Anhui province. Scientists at China’s National Influenza Center isolated a virus from samples taken from these patients that tested as an influenza virus of unknown subtype. Genetic sequencing revealed a virus comprising the genetic material of at least three influenza viruses that previously only infected birds, and had never infected humans. The new virus was immediately reported to the World Health Organization. The apparent direct transmission of this virus from a bird host (probably a chicken) along with the high mortality rate immediately raised the possibility of a new pandemic virus, should it become capable of human-to-human transmission. The response of the Chinese Centers for Disease Control was swift: Tens of thousands of poultry in thousands of farms were tested for the virus, along with pigs (this species is often susceptible to new influenza viruses) and poultry workers. Live bird markets in major cities were shut down, and an extensive symptom survey of contacts of known influenza victims and many hundreds of poultry workers in the eastern Chinese provinces along with blood testing was completed in fewer than four weeks. All individuals with severe respiratory illness were admitted to large medical centers and received up-to-date treatment. Chinese (and other) virologists began work to develop an H7N9-specific vaccine. China also invited international public health experts into the country and quickly shared available information on the virus with the international community. As of July 2013, 132 known human cases had been identified with 43 deaths, resulting in an overall mortality of about 33%. No clear human-to-human transmission has yet occurred. The outbreak among humans may have reached its nadir, with only one case reported in May and one case in mid-July. It is to this outcome that the international community points when praising China for its pandemic response. However, this is unlikely to be our last encounter with H7N9. It is almost certain that new cases will appear later in the year as temperatures fall. (The virus is fragile, and when deposited on surfaces, its infectiousness is limited by high temperatures). Concerns about a resurgent H7N9 are somewhat reminiscent of those raised over the last decade with regards to the H5N1 “bird flu.” And yet, here are several key differences that make H7N9 more worrisome. First, unlike H5N1, H7N9 does not cause much in the way of symptoms in birds. Hence, it is very difficult to follow the geographic spread of the virus by observing its native hosts. Second, the number of cases of H7N9 accumulated quickly, suggesting easy transmission from birds to humans. By comparison, only about 600 cases of H5N1 have been identified over more than 15 years, despite the high probability of human exposure to H5N1-bearing birds. Third, there have been no (or very few) cases of asymptomatic disease, indicating that H7N9 may be at least as – or even more — virulent than H5N1. Fourth, H7N9 has already taken on mutations that are known to increase the virulence of the virus shortly after infecting individual humans. Thus, H7N9 may be both well adapted to thrive in humans and capable of mutating in such a way as to increase its transmissibility, the last remaining requirement for achieving pandemic potential. Taken together, these characteristics are especially troubling because there is no reason to believe that the vast majority of humans have any acquired immunity to H7N9 from previous exposure to other influenza viruses. This contrasts sharply with H5N1. By virtue of long-standing circulation of other influenza viruses that shared key molecules such as the N1 surface protein (found in typical seasonal H1N1 influenza), a substantial proportion of the human population likely enjoys some level of resistance to H5N1. The international public health policy community has been positively impressed by China’s response to 2013 H7N9. China has been praised for its transparency and cooperativeness. The Chinese response has been all the more impressive when contrasted to its poor response during the 2003 SARS outbreak. Indeed, there is little doubt that China not only shared information quickly and effectively with the international community, it also did a good job of responding domestically to the outbreak. China kept the public informed of developments and treated ill patients quickly and, if they lacked health insurance, at no cost to themselves. Perhaps it is as a result of such concerted, rapid action, that only one case was identified outside of China – a Taiwanese businessman who spent extensive time in Suzhou, near the epicenter of the outbreak. China is justifiably congratulated. However, a healthy dose of skepticism is nonetheless warranted. We should not assume that China will be able to replicate its H7N9 response in the future. The H7N9 outbreak represented a best-case scenario for Chinese epidemic response. The location of the outbreak – Shanghai and the surrounding regions — is the wealthiest in China, and among the most attractive to well-educated and well trained physicians. Many of China’s top academic institutions with public health programs are also in this region. Not surprisingly, the region enjoys a public health infrastructure and a quality of health care that are exceptional by Chinese standards. Its local CDCs are well equipped and staffed with highly trained specialists. It is therefore not surprising that, once it was detected in the Shanghai region, China was able to effectively respond to H7N9. And yet, given the nature of H7N9 (likely first appearing among poultry in mass production farms in rural areas), it is reasonable to conclude that the influenza first developed in rural areas only then migrating to the cities where it was identified and epidemic response protocols were initiated. Conditions in China’s rural regions differ significantly from those in urban areas – especially when compared with the Shanghai region. Rural areas generally suffer from lower quality hospitals, physicians, CDC and public health officials. While health care and health insurance have become widely available, coverage is broad, but not deep. Many rural residents refuse to visit physicians even when faced with serious health conditions due to the cost and questionable quality of service. As a result, tracking the progression of a novel influenza in China’s countryside remains quite difficult. And of course, China's countryside is the likely source of future outbreaks and is home to around 600 million people. Thus, while China deserves to be praised for its H7N9 response, it would be a mistake to assume that it has achieved effective pandemic response capabilities. The ramifications for China and the international community are far reaching. Alan P. Zelicoff is Director of the Institute of Bio-Security at Saint Louis University and a Professor of Environmental & Occupational Health. Jonathan Schwartz is Associated Professor of Political Science at the State University of New York at New Paltz. China has an opportunity to assert leadership in helping steer Afghanistan in a more positive direction. Investing in Afghanistan now will save years of trouble later.